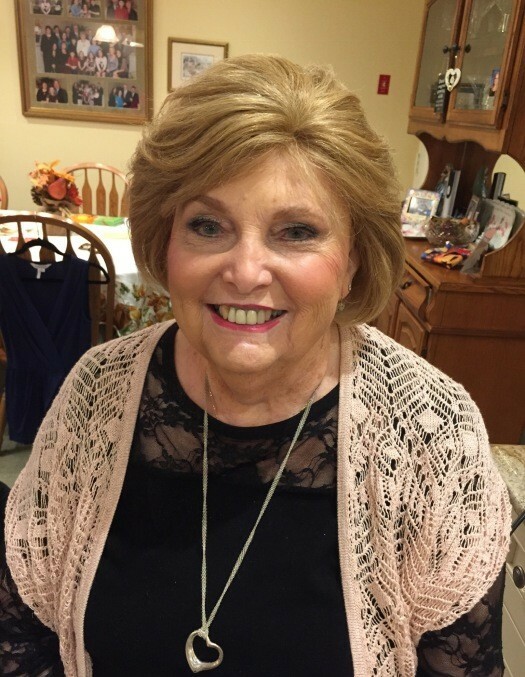 Obituary for Patricia Craig | Arthur F. White Funeral Home, Inc.
Craig, Patricia, lifelong resident of Bethpage passed away December 3, 2018 at the age of 86. Reunited in heaven with her beloved husband Gilbert Vincent. Loving mother of Jean Criswell (James), Maryann Aidikoff (Brant), Gerry Fleming (Mary Frances), Danny Fleming (Leisha) and Patty Montes (Rich). Cherished grandmother of Nichole Fleming, Paul Fleming (Monika), Jenna Aidikoff, Lauren Aidikoff, Kerri Aidikoff, Christopher Montes, Patrick Montes, Michael Criswell, Jillian Montes and Elizabeth Fleming. Adored great grandmother of Eli Fleming. Dear sister to Mary Galvin, Theresa Turner (Robert) and the late Thomas Kelly. The family will receive visitors Friday, December 7th from 1-4 and 7-9 pm at Arthur F. White Funeral Home, Inc., Bethpage. Funeral Mass Saturday, December 8th at 10:30 am at St. Martin of Tours RC Church. Interment following at The Cemetery of the Holy Rood, Westbury. In lieu of flowers, the family is asking for donations to the National Kidney Foundation or the LiveUp Program (www.liveuupprograms.org). LiveUp is the nonprofit organization that her granddaughter founded that provides programming for adults with Down Syndrome.